Good evening everyone and welcome to Share Your Style 189! I'm Carol from The Red Painted Cottage and I'll be your host tonight. I hope everyone had a fabulous Christmas and that you were able to spend it with your loved ones. 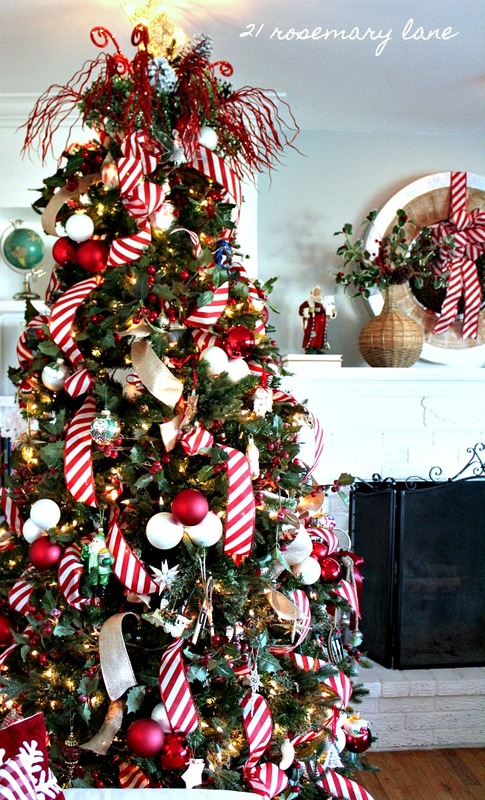 I'm sure some of you have already taken down your Christmas tree and are ready to move on, while others of us are still admiring our lights and decorations. 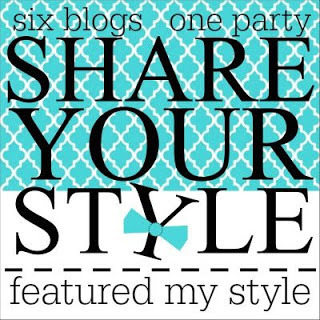 I also want to let you know that I'll be leaving Share Your Style after this party. I hope many of you will continue to stop by and see what's happening at The Red Painted Cottage. Please try stopping by and visiting everyone on our Style team. Because I'm taking time off through the holidays, I haven't shared anything recently on my blog. However with New Years Eve coming up, I have two older posts I think you might enjoy. 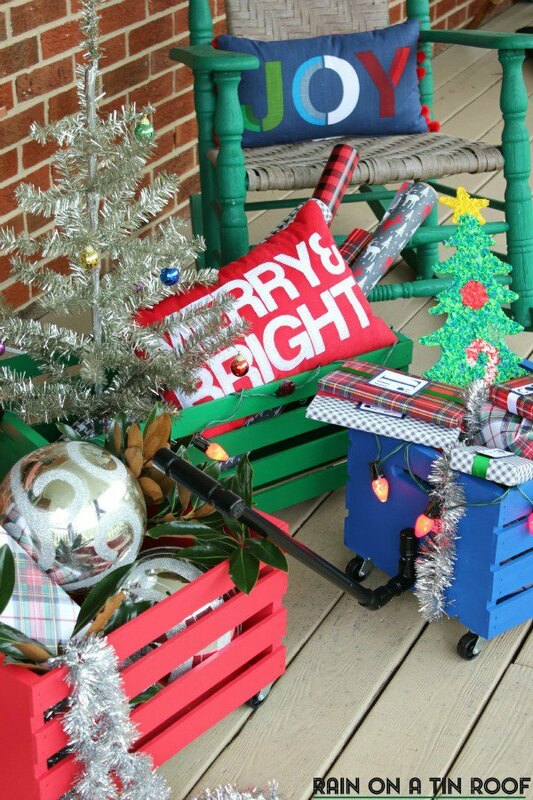 Rain on a Tin Roof shares how to make these adorable wagons out of crates. She's using them here as Christmas decor, but young children would probably love playing with them and storing some of their stuffed animals inside them. I happen to love all things miniature, especially dollhouses. 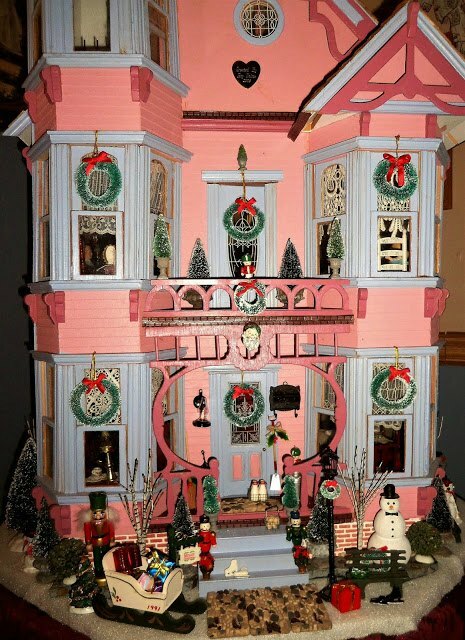 So it's no surprise that I should feature A Debbie Dabble's Christmas home tour of her Victorian dollhouse. 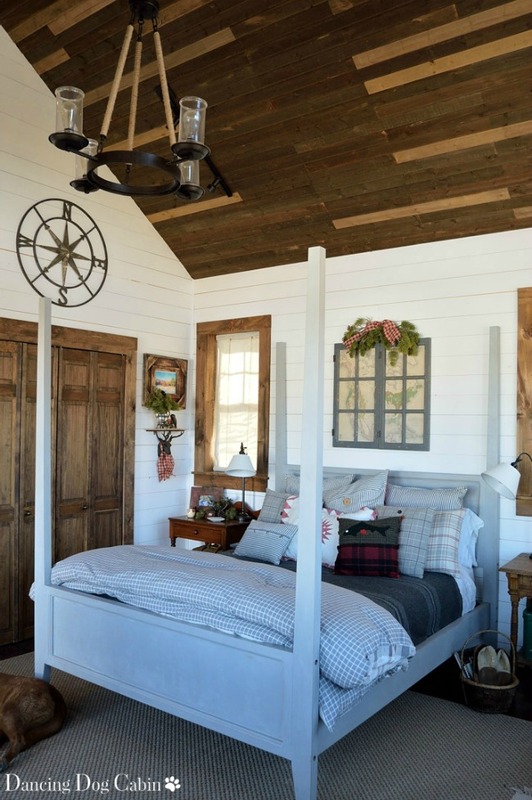 She'll take you room by room and show you how she decorated it for Christmas. One of these days I'll have to share my own dollhouse with everyone. If you're looking for ideas to use on your New Years Eve dinner table, look no further than Debbees Buzz. 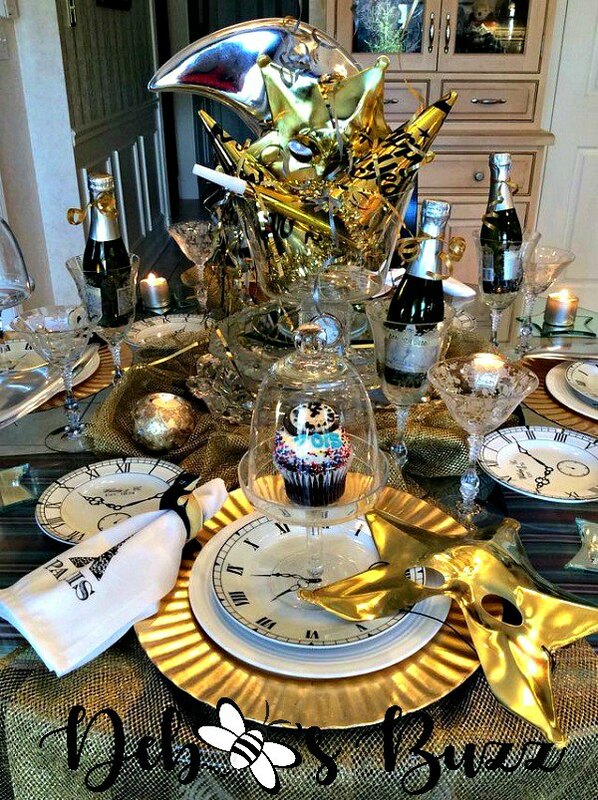 She created this stunning celestial tablescape to ring in the New Year! Can you imagine sitting with your family or friends to ring in the New Year at this table! Have you ever been to New York City? 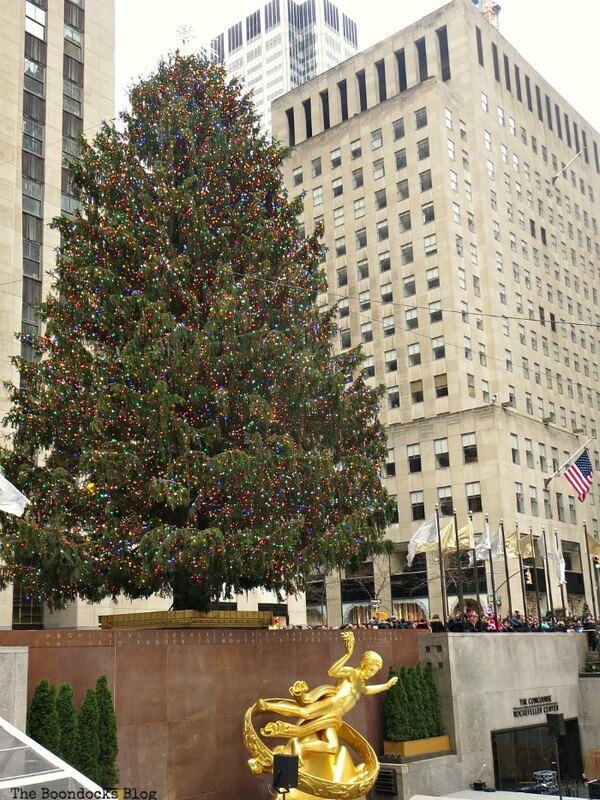 Mary from The Boondocks Blog, recently moved here from Greece and often shares her new city with everyone; including her latest post about the spectacular tree at Rockefeller Center. 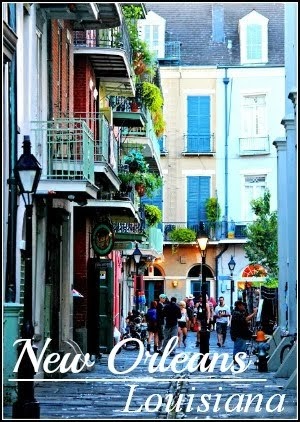 I've been here in the middle of summer, but I would love to visit here during the Christmas season and see the ice skating rink and lights during this time of year. 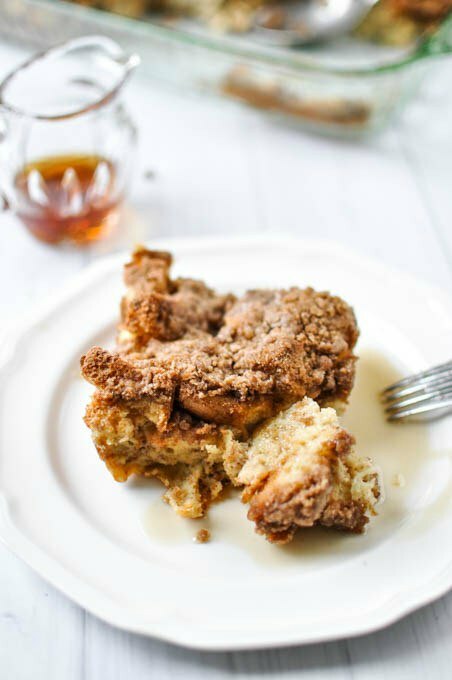 Crafting A Family shares her recipe for an easy and quick breakfast overnight French toast casserole. 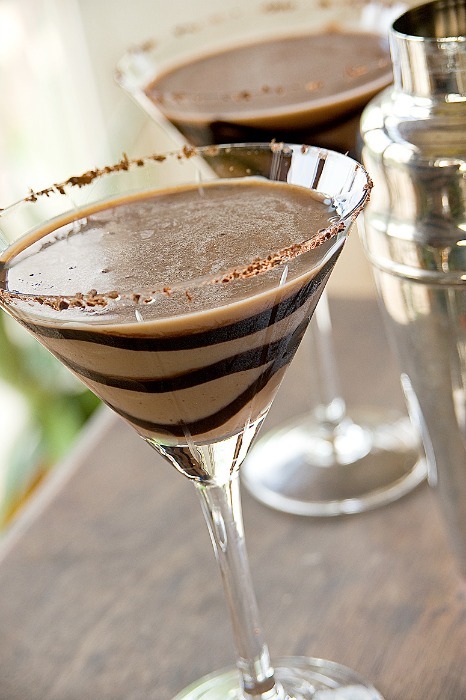 After reading through this, I know I'll be making this sometime we have overnight guests. It looks and sound delicious! We want to wish everyone a very Happy and Healthy New Year for 2019! Good evening and welcome to our 188th SYS link party! 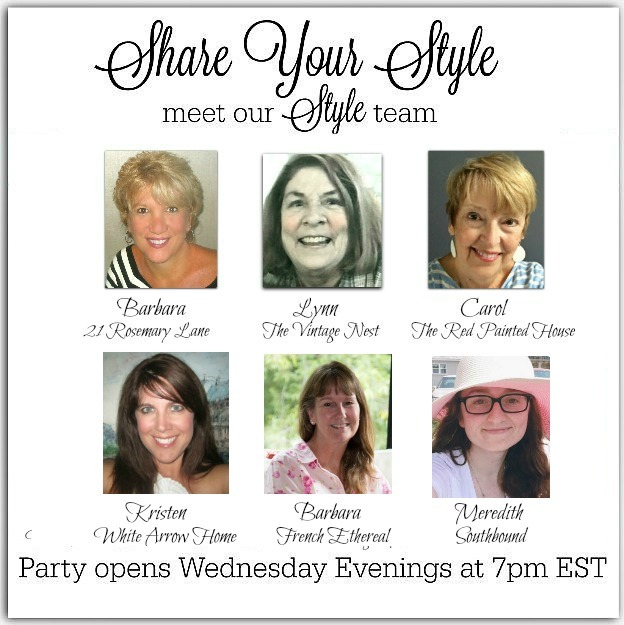 This week your party host is Lynn, from the blog The Vintage Nest. We are so thrilled you all dropped by again to party with us! Christmas is just around the corner and this is definitely the place to find some amazing inspiration. I spent hours pouring over your wonderful link posts and it was so hard to just pick a few to share this week with our readers. Before we get started, please make sure to pay a visit to all of your SYS team members! Orphans with Makeup gives us an excellent tutorial on making some handmade "vintage" ornaments. These are just gorgeous! thank you Mary for this inspiration. 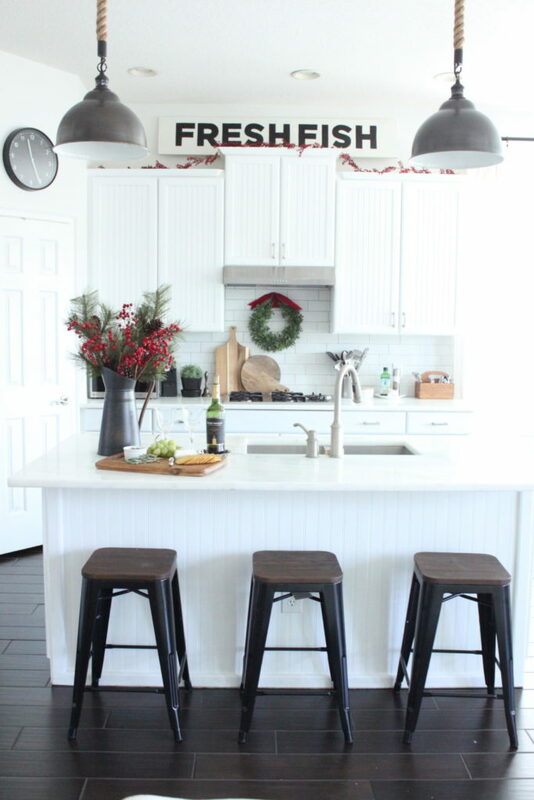 Rever en Couleur (Dream in Color) shares her kitchen brick wall transformation and it's beautiful. Years ago, I whitewashed my brick fireplace and have never regretted and get so many compliments. If you have been thinking of doing it.....Just do it! 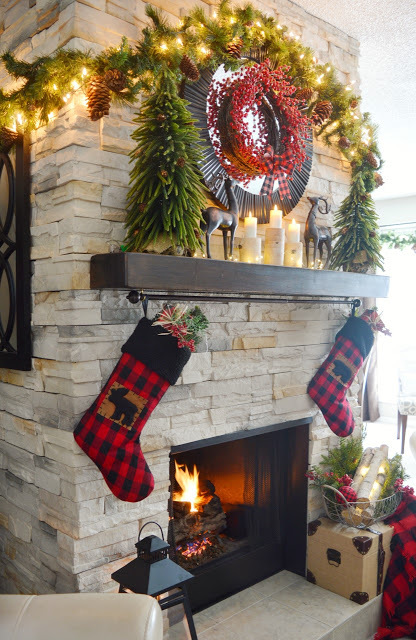 Marty, a long long time friend on blogger, puts a spin on Christmas decor with her gorgeous rusty orange theme. She explains how she did it very inexpensively. 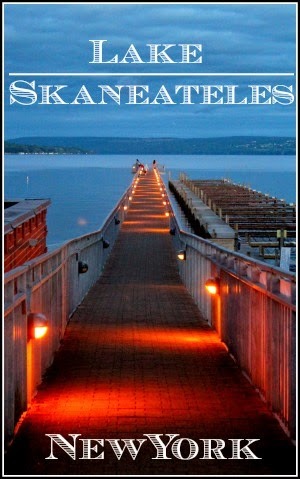 Click on over to see this non-traditional theme at her blog A Stroll Thru Life. 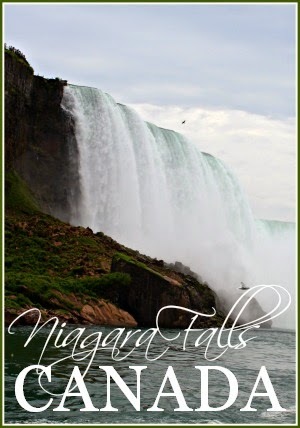 Are you looking for a last minute, easy, inexpensive, personalized gift? The blog H2O Bungalow shares her tutorial on how to add words to a candle. These are just so charming. Finally, this post really really captured my heart. When my children were little, a holiday tradition was the making of the gingerbread house and on New Year's Eve, they got to "destroy" it and eat wasn't what as hard as a brick. They thought that was the grandest thing! 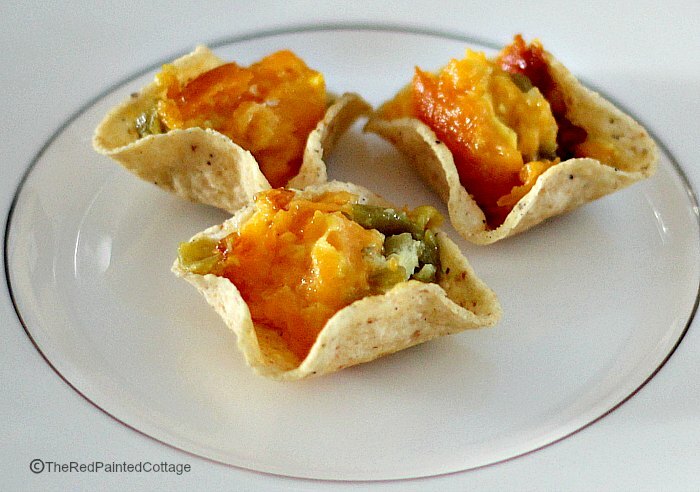 The blog Home Cooking Memories shares with us what could easily become a new tradition. 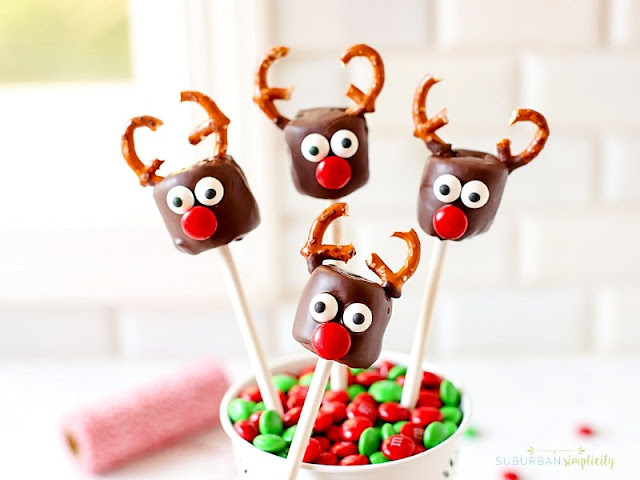 How fun and delicious is this? 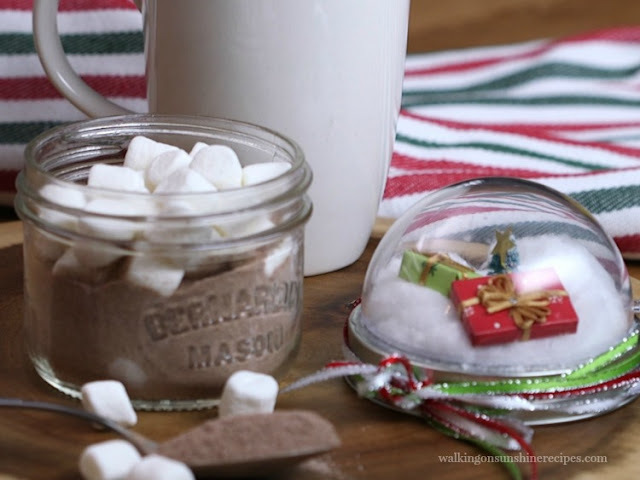 A gingerbread house milkshake recipe. Congratulations to all of this week's featured bloggers. 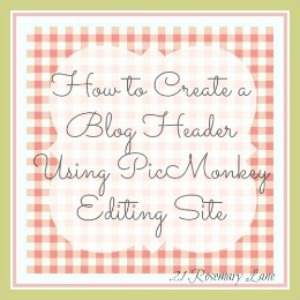 If you have been featured please make sure to grab our cute feature button to proudly display on your blog. We wish you all a very happy holiday and we'll see you next week. Now on to the PARTY!!!! Good evening and welcome to our 187th SYS link party! 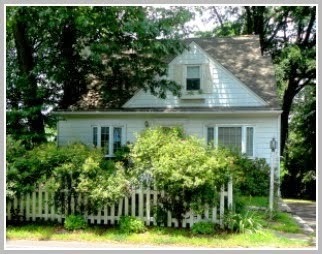 This week your party host is me, Barbara, from the blog 21 Rosemary Lane. We are so thrilled you all dropped by again to party with us! 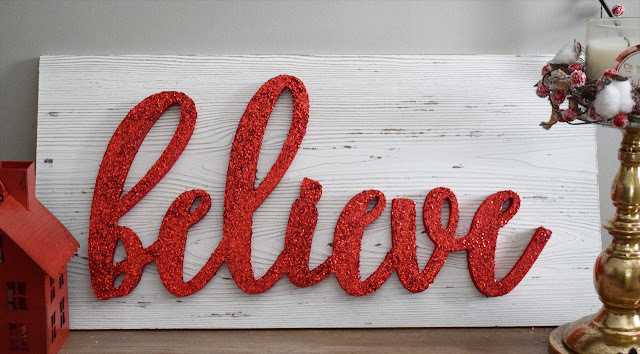 Christmas is just around the corner and this is definitely the place to find some amazing inspiration. Since I haven't posted an official Christmas tour for this year, I decided to let you all in on some of what I have been up to over the past couple weeks. 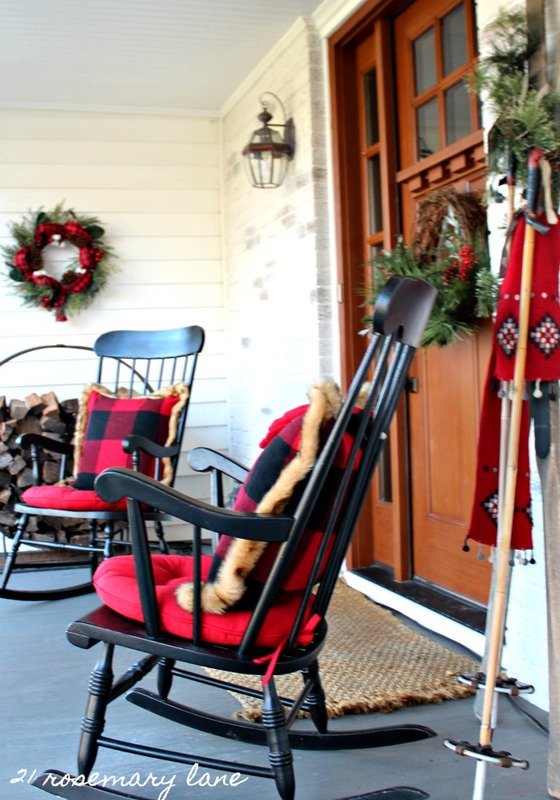 The front porch is themed with a red and black buffalo check. 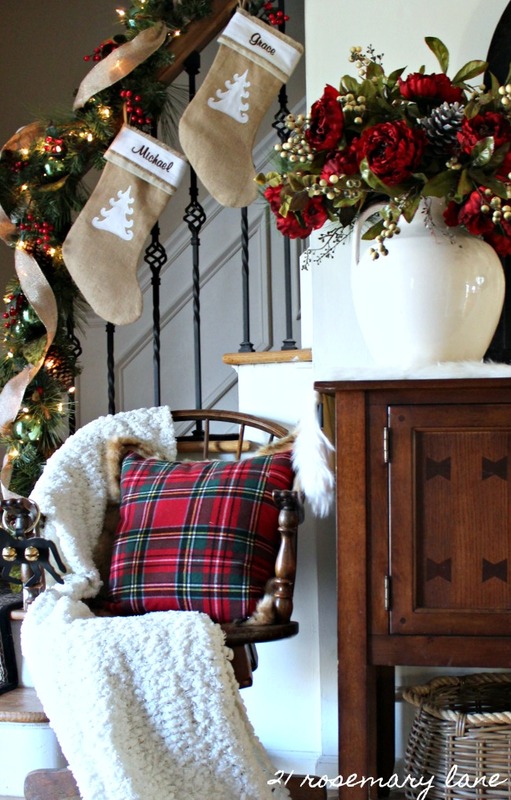 The entry way is sporting more red and a classic plaid. Gosh you just gotta love Christmas!!! 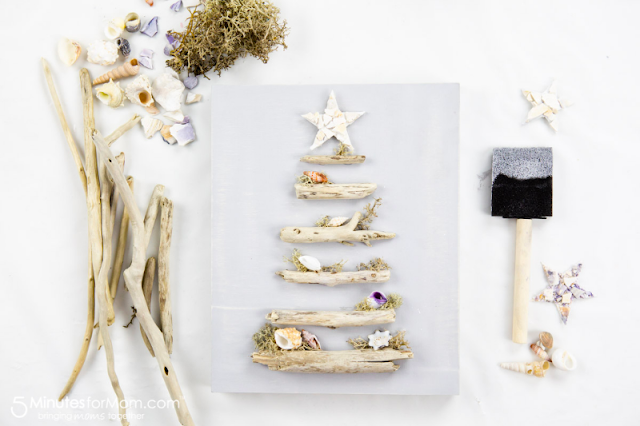 First up is a gorgeous Christmas home tour from Kristy over at her beautiful blog Starfish Cottage. 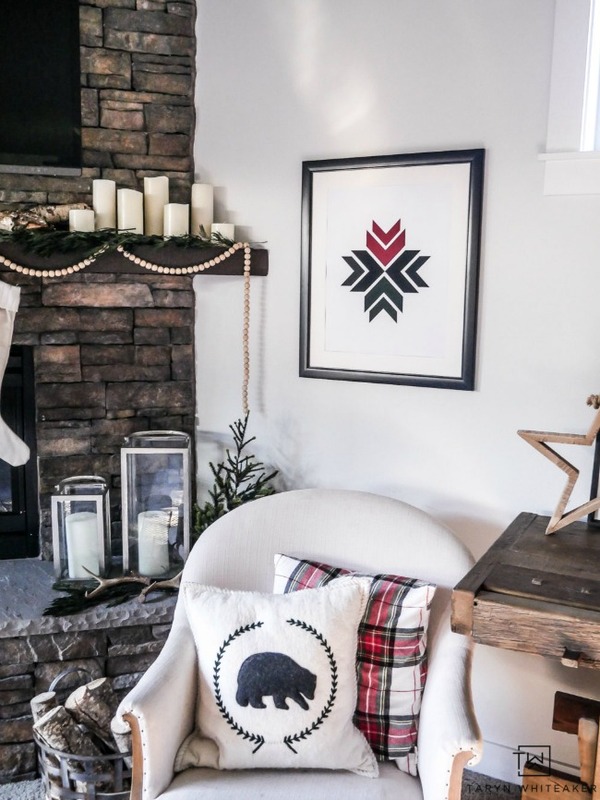 Melissa from the blog Dancing Dog Cabin shared her rustic and beautifully done Christmas at the Cabin home tour. 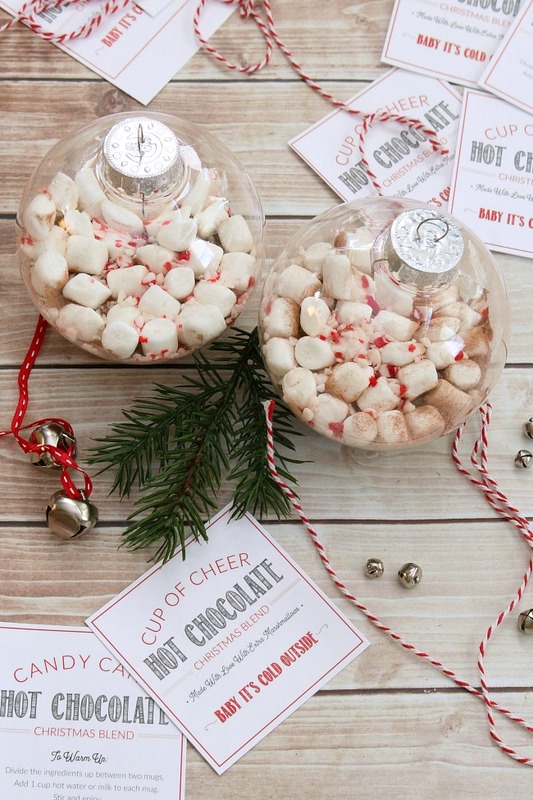 Clean & Scentsible blogger Jen linked up her tutorial on how to make this adorable Hot Chocolate Gift Ornament. 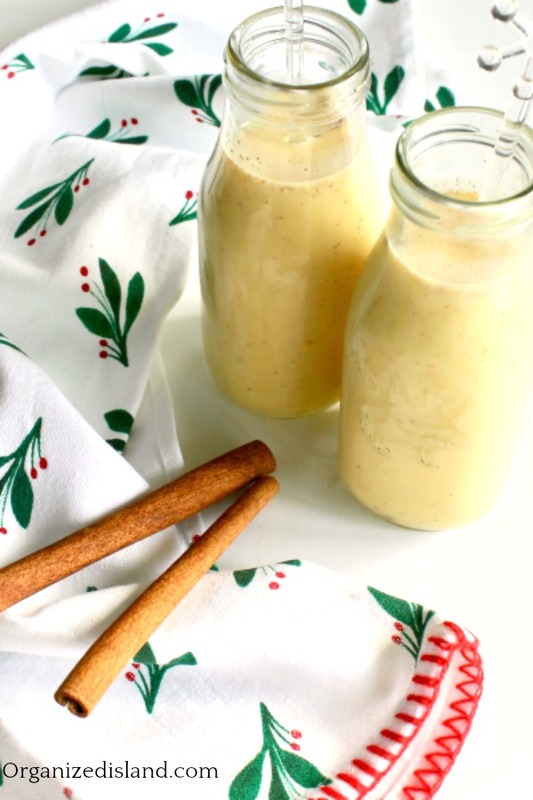 Raquel from her corner of blogland known as Organized Island, shared an Easy Faux Eggnog recipe. 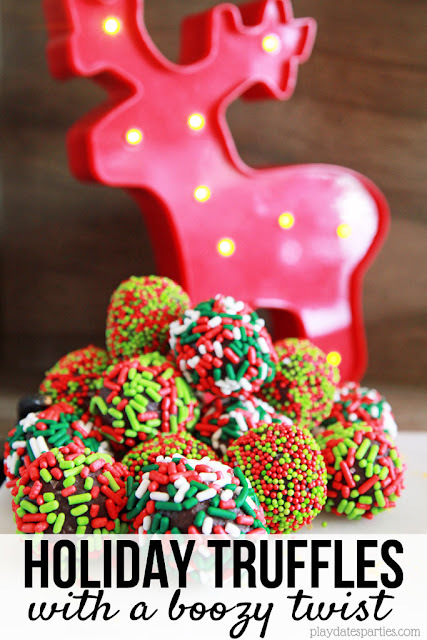 It's a no cook recipe plus it is non-alcoholic, so the kiddies can join in the fun too! And finally from Taryn Whiteaker, a Free Geometric Christmas Printable. And that's a wrap! Congratulations to all of this week's featured bloggers. 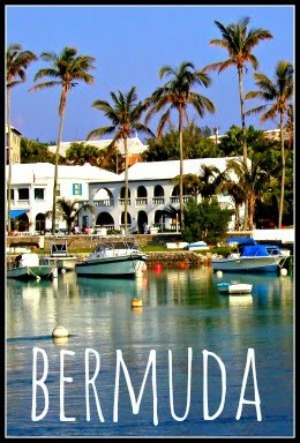 If you have been featured please make sure to grab our cute feature button to proudly display on your blog.